Have you purchased an iPod between 2006 and 2009? If so, you may be part of a class action lawsuit against Apple which claims the company used iTunes to create a monopoly over digital music and portable music players. Apple is being targeted for another class action lawsuit, this one tied to customers who purchased an iPod between September 12, 2006 and March 31, 2009. The class action dates back to early 2005, when a customer named Thomas Slattery first filed a lawsuit against Apple. Slattery's lawsuit alleged that the tech giant violated Federal antitrust laws by requiring iPods to listen to music purchased from the iTunes Music Store. The suit persisted over the last seven years, even as Apple began to allow purchased tracks to be used on any compatible device - including iPod competitors. "No money is available now because the Court has not yet decided whether Apple has done anything wrong..."
"The Firm represents iPod purchasers who challenged Apple's use of iPod software and firmware updates to prevent consumers who purchased music from non-Apple sources from playing it on their iPods," explains class counsel Robbins Geller Rudman & Dowd LLP, who unsuccessfully attempted to reach a settlement with Apple earlier this month. 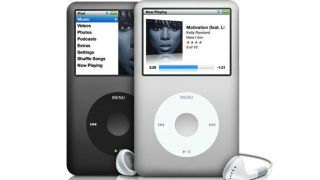 "Apple's conduct resulted in monopolies in the digital music and portable digital music player markets and enabled the company to charge inflated prices for millions of iPods," the litigation alleges. As always, customers being notified about the class action antitrust lawsuit can choose to be specifically excluded, or do nothing and remain a member of the class. The website iPodlawsuit.com details which iPod models are involved, noting that "no money is available now because the Court has not yet decided whether Apple has done anything wrong, and the two sides have not settled the case." Attorneys from Robbins Geller Rudman & Dowd LLP were not available for comment, but anticipate the case will go to trial in late 2012 or early 2013.